That’s not necessarily a good thing, said Nick Statt in TheVerge.com. Imagine advertising plastered on literally everything you see—or worse, Yelplike ratings and reviews displayed above businesses, products, and even people. We might be a long way from mind-reading computers, but augmented reality is already used in messaging apps like Snapchat and mobile games like Pokémon Go. “We don’t have to speculate what it would take for this type of tech to arrive in the real world. It’s already here.” Instead of rushing to augment reality, maybe Facebook “should pay a bit more attention to the hard truths of the world in which we currently live,” said Mat Honan in BuzzFeed.com. 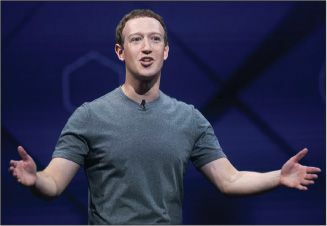 In his presentation last week, Zuckerberg only briefly touched on the fact that a man had just posted a murder and its aftermath using the company’s Facebook Live platform. I’ll feel a lot better about Facebook’s new technologies when the company shows it can cope with the unintended consequences of the ones it has already created.